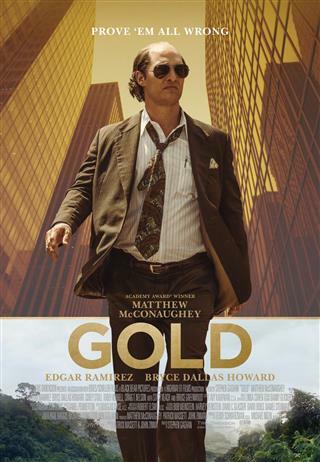 GOLD is the epic tale of one man's pursuit of the American dream, to discover gold. Starring Oscar winner Matthew McConaughey (INTERSTELLAR, DALLAS BUYERS CLUB, THE WOLF OF WALL STREET) as Kenny Wells, a modern day prospector desperate for a lucky break, he teams up with a similarly eager geologist and sets off on an amazing journey to find gold in the uncharted jungle of Indonesia. Getting the gold was hard, but keeping it would be even harder, sparking an adventure through the most powerful boardrooms of Wall Street. The film is inspired by a true story.